Iqbal day is the birthday of Muhammad Iqbal, celebrated on 9 November every year. It is a public holiday in all provinces of Pakistan. Iqbal was a great poet and philosopher of Pakistan who inspired the Muslims for the Pakistan Movement. Iqbal day is celebrated on 9 November every year in all the provinces of Pakistan in honor to Allama Muhammad Iqbal, the “Poet of the East”. He was born on 9 November 1877 in Sialkot, within the Province of Punjab. The Government has declared him the national poet of Pakistan. By Inspiration of teaching at Government College Lahore, Iqbal followed a higher education in the west in Cambridge University. When he left there, he became a barrister in London. After that, he became Doctor of Philosophy in 1908. He started writing poetry in Persian while he was in Germany. When he returned back to Lahore, he started writing in Urdu and Persian and devoted his life for literary work. His poetry is translated into many foreign languages, including English, German, Russian, and Turkish. Tarana-e-Hind song is also written by Iqbal that is still used in India as a patriotic song. Iqbal is known as a Muslim philosopher and great poet and well known writer of Urdu literature. 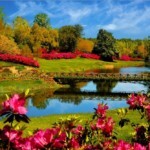 He is widely admired and known in all over the world. Muslims paid special honor for his vision of a separate homeland for Muslims of the sub-continent. Iqbal first suggested the creation of a homeland for the Muslims of India in 1930, though he died before seeing the creation of Pakistan in 1947. His tomb is positioned in the garden new Badshahi Mosque and the Lahore Fort. Different functions prescribed on this day in Pakistan. Special programs arranged on radios and TV channels to highlight the various aspects of Allama Iqbal. 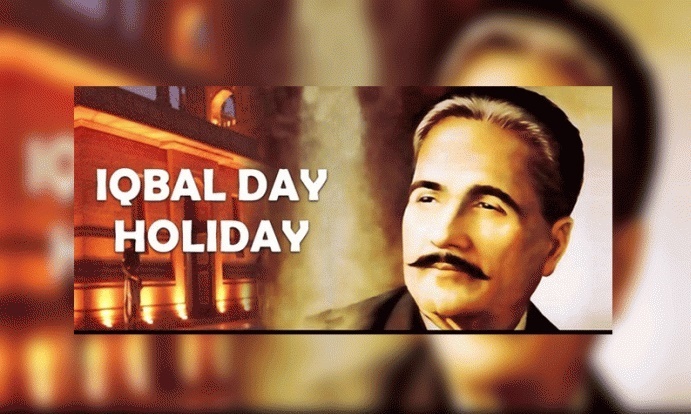 Every year on this day exhibitions of books and leftovers of Allama Iqbal organized at the Iqbal Museum in Lahore, National Museum in Karachi and Iqbal Manzil in Sialkot. Special speech functions are also arranged in the educational institutions in Pakistan.